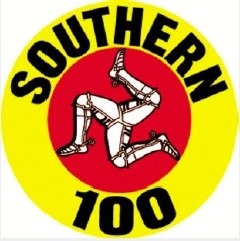 ‘When I heard that the club were looking for a sponsor for the Post TT Races, it was an opportunity to continue Radcliffe’s association and support for the Southern 100 Racing organisation. Radcliffe Butchers are based in Malew Street, Castletown and serve the Isle of Man with their meat, delicatessen and fish products to retail customers and restaurants. Chris Lennon is no stranger to the Billown events, having been a long-time sponsor of past racer, Chris Palmer, now the club’s Riders Liaison Officer and more recently young, upcoming Yorkshire rider James Cowton, who has already tasted success at ‘the friendly races’ and will be one of the riders to watch around the 4.25-mile course this year at all three meetings!